Add texture fills to shapes in PowerPoint 2011 for Mac. PowerPoint's fill options for shapes are extensive, you have already learned how to apply solid fills, gradient fills, and picture fills for shapes in PowerPoint 2011. The next fill option is Texture Fills, which incidentally are not too different from picture fills other than the fact that they can be tiled. PowerPoint includes a built-in library of textures, and you can also import any picture, to be used as a texture. If you want to see a sample presentation showing Texture Fills in PowerPoint, scroll down to the bottom of this page. PowerPoint treats textures differently from pictures, both textures and pictures are bitmaps saved in pixel based formats like JPEG, GIF, BMP, PNG, TIFF, etc. 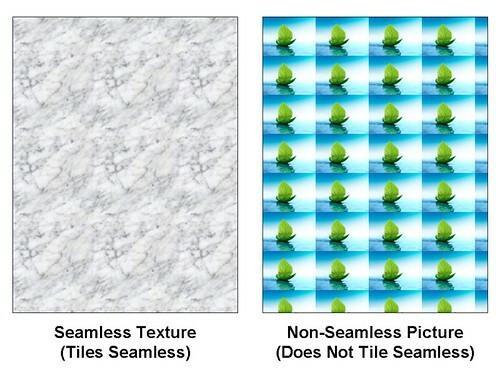 The main difference between textures and pictures is that while textures are seamless, pictures are not necessarily seamless. Seamless means that if you tile up a texture, it will not show any edges while tiling thus providing an illusion of a seamless expanse. PowerPoint 2011 includes 24 seamless textures which can be applied to any shape, and you can even import more seamless textures that you can buy from third-party providers like Ppted.com. Within the Home tab of the Ribbon, locate the Insert group and click the Shape button to access the Shape gallery with different types of shape options that you can see in Figure 2. Select any shape option to access the related submenu, select the shape you prefer (we selected the Teardrop shape, as you can see in Figure 2). Within the Format tab, locate the Shape Styles group. Then click the downward arrow next to the Fill button to view the Fill drop-down gallery that you can see in Figure 4. Within the Fill drop-down gallery, select the Fill Effects option which is the last option. This opens the Format Shape dialog box, make sure that the Fill panel is active, and click on the Picture or Texture tab that you can see highlighted in red within Figure 5. Then click on the Choose Texture list box (highlighted in blue within Figure 5). This will display the texture drop-down list, as shown in Figure 6. In this gallery you will find 24 different textures which you can choose from. Use the arrow button at the bottom of the gallery (highlighted in red within Figure 6) to explore more texture previews. Click on a texture to apply as a fill. This will take you back to the Format Shape dialog box, where you can now see the selected texture in the preview area, as shown in Figure 7.
i. If you want to change the transparency of the Texture Fill, you can use the Transparency slider that you can see in Figure 7.
ii. Also, if you want the Texture Fill to rotate when the container shape itself is rotated, do select the Rotate with shape check-box as shown highlighted in red within Figure 7.
iii. When you use the texture as a fill, the Tile check-box which you can see below the Rotate with shape check-box in Figure 7, will be selected by default. You can deselect it if you want. Taking this option further, you can also add your own picture as a fill, and then check the Tile option to use that picture as a tiled texture. Once everything is done, click OK to apply the Texture Fill to the selected shape and get back to the slide where you can see the shape filled with selected texture, as shown in Figure 8. Note: Once you add a texture as a fill for a shape as explained above, you may also explore some advanced tricks like recoloring or resizing, or applying some filters, or cropping the picture (texture) fill. All Adjust options for Picture fills, except the Remove Background option work for Texture Fills also.